To put it simply, Coacha is software that simplifies and digitalises the lives of people who run sports clubs. It’s quite literally by coaches, for coaches. We’re the only piece of software of our kind to specialise in GDPR and safeguarding children. Coacha also makes working alongside the HMRC’s new Making Tax Digital (MTD) initiative incredibly straight forward. There are so many reasons our sports clubs get on board. Usually they’re fed up of having to deal with messy, insecure paper records or are using a system that is far too expensive or difficult to use. Our Co-Founders are coaches themselves. They built Coacha around simplicity, ensuring everyone can learn to use it. So our clubs can rest assured that they’re in the best hands possible. Coacha is an organisation that is currently making waves within the UK (and soon to be USA) for being a team of sports people who genuinely want to make a difference to sports clubs and the coaches who run them. We’re a bunch of people who care greatly about what we do and the impact it has on our users. Which is why we continuously develop our software from suggestions made by the very people who use it, the coaches. Below are just some of the features that’s made Coacha such a hit in the UK. Please take a look, check out our website and get in touch if you have any questions at all. Our free trials are 14 days long. However, if you sign up through ConnectSport, we’ll give you 30 free days. Just sign up here and get in touch on support@coacha.co.uk and we’ll extend your trial for you. We’ll even get you set up with your own club’s data (totally free, of course) if you’re struggling to find the time. The idea of having to transfer your whole club management over to a new system can be a little daunting. Coacha’s set up process is easy. You can use our mass-uploader or distribute your signup form link for members to complete themselves. Then all you need to do is accept them into Coacha. If you’re struggling for time, we’ll even set your club up totally free of charge. You just need to send a spreadsheet of your members’ information and timetable to our DBS-checked team, and we’ll do the rest! Each member will have their own Member Profile, meaning their emergency information can be accessed within seconds. This also means no hunting around locked cupboards for files in an emergency. Each member’s profile will hold all essential information to them such as personal information, Next of Kin (NOK) information, medical details, payment history, what classes they belong to etc. We actually built Coacha completely around the new General Data Protection Regulations (GDPR) that launched in May 2018. We did this to help sports clubs work towards GDPR compliance. Each member will have to confirm GDPR-specific consent before becoming a member within Coacha. There is also a marketing consent option, which allows you to exclude those who opted out of receiving marketing when sending emails/texts. If you allow them to, members can log into the Member Portal and view and edit their personal information. They will also be able to instantly download what data you hold on them under GDPR, meaning you don’t have 30 days to deal with a subject data access request. If the member is under 13: The broadcast is sent directly to the NOK. If the member is between 13 and 18: The broadcast is sent to the member but with the NOK copied in. Each Member Profile has a Coaches’ Notes section which can be used for tracking progress/behaviour etc. This is downloadable under GDPR by the Member/Parent Portal. However, if you have a concern about a member’s wellbeing, you can upgrade this note to a Safeguarding Note which will make it exempt from data download to protect the member. If you have a Safeguarding Lead or someone who could act as one, you can add their email address. They will then be copied in on all communication to children. Easily setup your classes and enable your registers to automatically generate with the correct members for as long as they run. Coaches can easily take registers from their own devices. Or choose to lock the register on a device at the front of class and allow members to mark themselves as attending when they arrive. We partner with Stripe (and soon to be Gocardless) to bring our users the lowest fees on the market for fee collection. Stripe charge 1.4%+20p per transaction and we never add anything to this. Easily set up weekly, monthly or yearly subscriptions within Coacha. Stripe will even try to recollect failed payments up to 4 times before failing completely, letting you know every step of the way. Plus, users can regularly check the Money Dashboard for live updates on member payments. Take one-off payments for things such as competition fees, uniform and whatever else you may need. 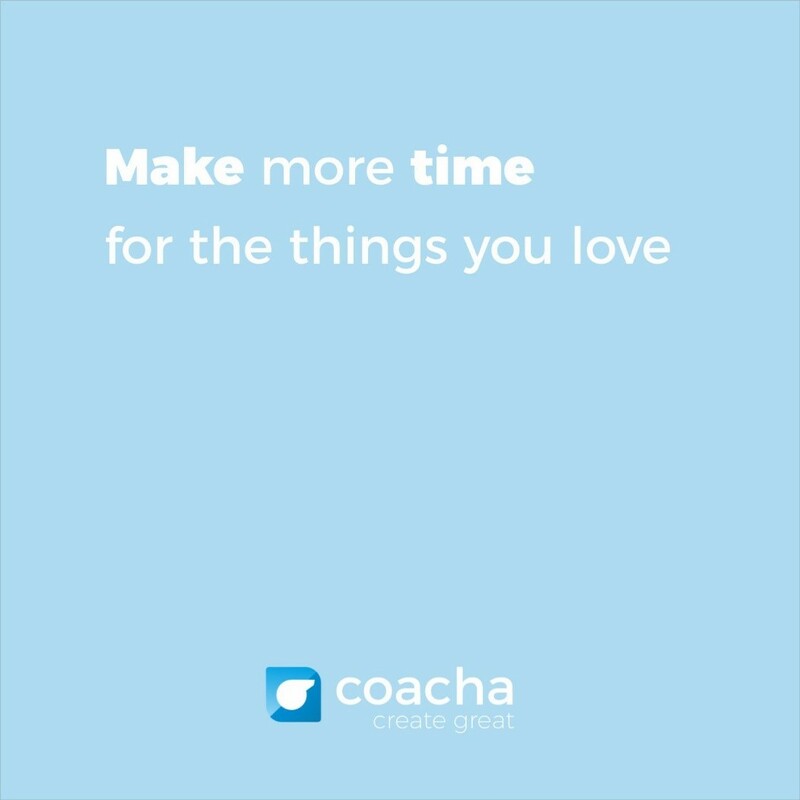 Send unlimited free emails to your members through Coacha. Even categorise by team or individual. We also partner with Textlocal to provide an SMS service which users love. Members and parents love the ability to log into the Member Portal and view/edit/download their data, view the club timetable, book onto classes and more. Our standard free trials are 14 days, however, if you sign up as a result of being on the ConnectSport directory, we’re giving you 30 days. Simply sign up by clicking here. Once you’re signed up, email us on support@coacha.co.uk and we’ll extend your trial from 14 days to 30.